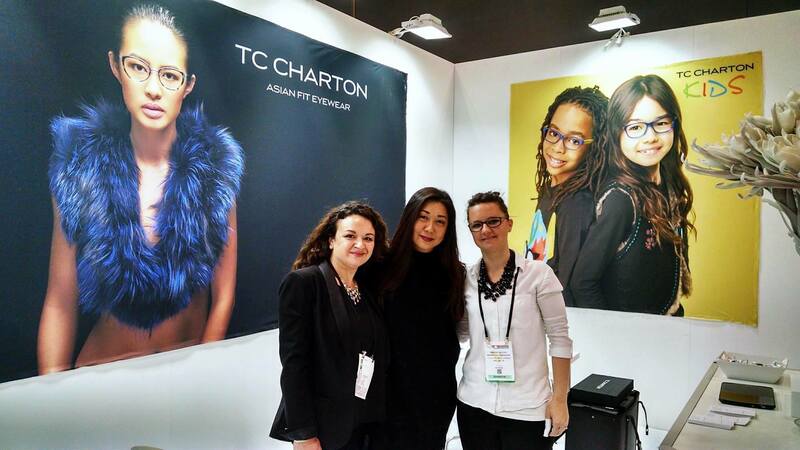 Alexandra Peng, Eyewear designer for TC Charton, set up the booth for the 2016 Eyewear expo hosted at the Javits Center. 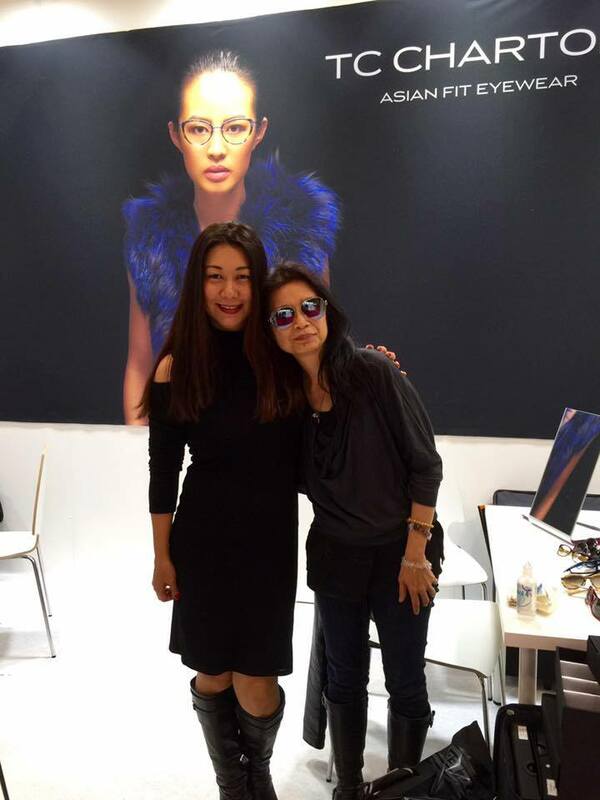 Peng is an important designer for the eyewear community, not only because of her beautiful frames and designs but because she has started a new niche within the world of eyewear; custom made glasses made specifically for the Asian community. When doing research, Peng noticed that there were certain features that restricted comfortable use of frames for the Asian community. While most eyewear is made off of European models and faces, Peng’s design is made for accommodate for their differing features; the bridges of their noses and high cheekbones among other things. When Alexandra sat down for an interview with AsianInNY, she expressed the origin of the hundreds of custom frames that laid out for display. “I thought I needed surgery,” she expressed when speaking about the eyewear that just didn’t seem to fit quite right on her face, “I was designing frames for brands that I couldn’t even wear.” This was the moment when Alexandra Peng realized there was time for a change. Using friends and family as models for her frames, she went to work, creating a new branch of eyewear entirely designed for unique Asian features. But the problems didn’t stop there, soon the designer realized that the Asian community was much more expansive and unique than she initially thought. She expressed the messages she was receiving as her brand began to grow, “People were saying don’t forget forget about us!” To this Peng was referring to the mixed Asian community; “Blasians” represents the mix of Black and Asian communities. Within these mixes, specific features are different from the initial East Asian faces she was creating for. And so, she expanded, making designs for frames just based off of photos alone. Now, Alexandra is still hard at work, creating frames for every variety of the Asian community. And for the new designers, the Eyewear creator just had one thing to say; “Don’t be afraid to cater to a specific niche.” Much like herself, Peng finds it important to “create art with a purpose”, labelling herself as a pragmatic/practical creative person. Instead of creating just to create, make something that will help a group of people, and never forget that there is a person behind every design. The designer also emphasized the importance of humility within the workplace, “I don’t care if people never learn my name. If they see one of my frames and say, “this is the frame that I want to buy every year”, then that is okay.” Creating for the uniqueness of people is the basis of Peng’s work, part of the reason that the search for new designs never ends for her. Alexandra Peng is a designer for TC Charton whose work can be found in over 250 optometry practices throughout the country. For those who want to know more about the brand and design, please visit the company’s website at TC-Charton.com. Buyers can look at her collection of sunglasses and glasses frames, each named after the person Alexandra designed them after.